(Audible review). Outstanding! Suddenly my 90-min commute wasn't long enough! I knew early in the book that this was going to be special. I hung on to every word! Will be a guiding companion on my journey. Had to take it in twice in a row. WHY do publishers hire audio readers who read as though English is not their first language? This guyy over enunciates everything and reads like he's reading a textbook. The delivery negatively affects the product. It's hard to be able tio listen to this book without being annoyed by the reader. Debating returning the book because of it. REALLY sad. Deep lessons and so easy to listen to! In the past 2 years I have listened on my Audible to the individual writings of these great teachers and doctors of spirituality. 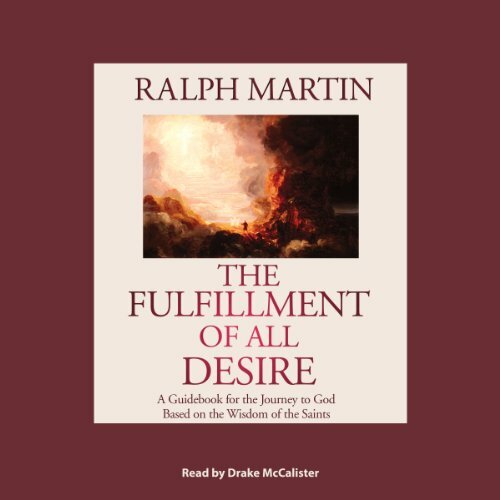 Ralph Martin has done a truly amazing job of making connections between them to allow us to see the commonality of their teachings as well as the depth of individual spiritual lessons they have to teach us. The narrator was an excellent choice. His clear soft voice was so easy to listen to and did not distract from the message but pulls you in. Pull up an easy chair and sit down and learn. Or do as I do and listen on those long road trips. Either way please get this. You will be so glad you did. The author, Ralph Martin, has studied and taught on the college level classes on some of the well known saints he quotes from. For me book has been a great Christ centered guide to the spiritual life . Plus the narrator is easy to listen to. 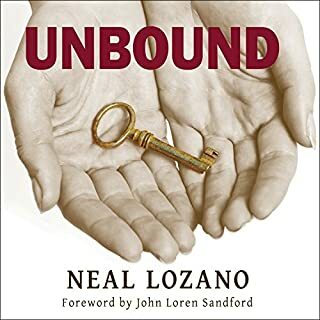 This book keeps on teaching me for I have listened to it three plus times and each time I get something more out of it. This book points the way to the father. It incorporates Pope John Paul 2 and St. John of the Cross and many other saints and Doctors in order to add merit to the writings of the book and. A must read. Will read over and over to reset my compass to God every day. 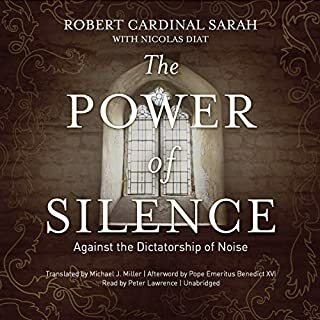 Loved the Audible version. Listened during car trips. Like entering a monastery for a retreat. Excellent guide for the spiritual journey! Wonderful distillation of the wisdom of the Doctors of the Church on the Spiritual Marriage. I have tried to get into this audiobook twice now. The first time I got 5 hours (out of the 16 total) into it, and this most recent time 8 hours. There was just too much sin, guilt, need for repentance, fear of everlasting damnation for my taste - not that these aren't realities, but there needs to be some balance with God's great love and mercy. Perhaps that was coming in the second half of the book, but I'm not willing to stick around to find out. 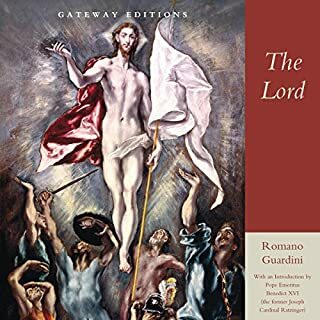 If you want a good introduction to the mystical doctors such as John of the Cross, Teresa of Avila, Catherine of Siena, etc., I would suggest two other routes. Either read their works directly, or find a good book with daily meditations for reflection and prayer from their writings. These would be much more balanced ways to learn about these important theologians of the Church. 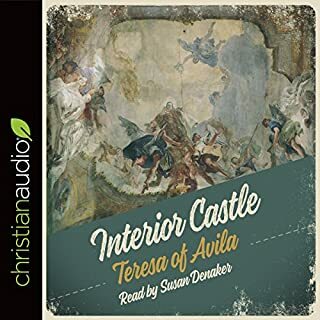 Where does The Fulfillment of All Desire rank among all the audiobooks you’ve listened to so far? One of the best writings and guides for my spiritual growth. 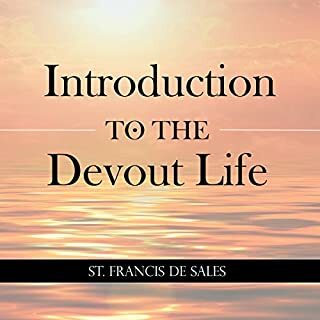 The author brings together spiritual experiences of the greatest Doctors of Catholic Church who present me the Wisdom they have gained from God on their roads of finding Living God in their lives: St Therese of Lisieux, St John of the Cross, St Bernard, St Therese of Avila, St Catherine, St Francis. Difficult to chose a single thing - I was amazed by mere fact of bringing the spiritual experiences of our Saints together in a new way and how they coincide one with another. Sometimes almost identical. If I were to choose a single one thing it would be a warning given by St Teresa of Avila to those who seek seriously spiritual maturity: (paraphrased): "I was misled for many years by my spiritual directors who kept calling no-sinful thing at all something which was in reality a venial sin and a venial-sinful thing that was a in reality a mortal sin until a Dominican priest straightened things out and called mortal sin a mortal sin and venial sin a venial thing. Since that moment my spiritual growth took a new growth." 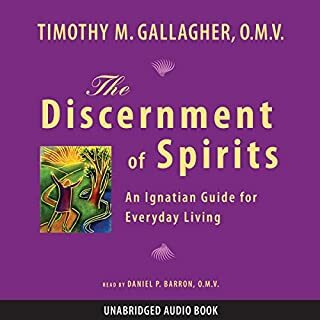 Great thanks to the author who without making of his own "theological and spiritual acrobatics" shows a "proven" way to spiritual maturity by honest study of the Doctors of the Catholic Church. Having heard Ralph Martin's seminars, it took a while to get used to the narrator. However once I got rhythm of his speech I really enjoyed it and found the books content enlightening and challenging. Would you listen to The Fulfillment of All Desire again? Why? You simply have to - so much to glean from which cannot be achieved in simply one sitting. I love this book. Have learned so much. Re-listen often. Feel closer to God.